The pattern on Bath rug and Shower Curtain is customized Designs. Color may vary and appears differently when compared from human eye and what is produced by a camera. Machine Washable Cold Water Don`t Bleach / Tumble Dry. Rug Supported with Rubber back Anti Slip / skid. 5. 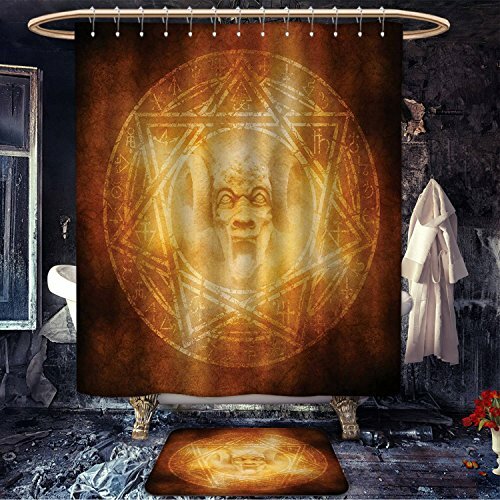 Package Includes： 1pcs Shower Curtain，1pcs Bath Rug, 12pcs Metal Hook.